Almost a decade as an entrepreneur, blogger, and freelancer I had it all and so let me share with you key aspects of managing your money and finance efficiently. Unpredictable income can be hard to handle and you need to be able to manage money and finance very efficiently. On top of it, if you are not desperate for work, you can get better rates for projects you take on. The first step towards managing your finance efficiently is to have separate bank accounts for business and personal use. I am not suggesting forming a private limited company or a partnership firm or a proprietorship firm for your business. An individual current account for your business and a personal savings account for personal use. You can do it in the same bank like I have mine in HDFC Bank or you can even opt for different banks, but my recommendation would be to keep things in the same bank as you can do instant transfer of money between accounts without any charges. As an individual freelancer you can be associated with many businesses. Have a separate bank account for separate businesses. I have several blogs, forum and freelancing. I keep income from each of them into my separate bank account. Indians cannot have multiple PayPal account under the same PAN card, but you can add multiple bank accounts to the same PayPal account and withdraw funds to the right bank account depending on the source of business. It may sound like too much of work but it helps keep track of each of businesses income and expenses very efficiently with a bank statement only. When starting out, you may not need a separate bank account for each of your business but as you grow it is always good to have them. Freelancer’s can have months when income level is at bare minimum and then will have months when it is doing awesome. Have an expected monthly income and have funds ready when you don’t hit that expected level. I like to keep things very simple when it comes to projecting my expected income levels. It is the minimum of the trailing twelve months’ income. No averaging or any other complex mathematical formula. So for July 2016, my expected monthly income will be the minimum incomes in each of the month from July 2015 to June 2016. The expenses planned for july will be based on my expected income. If I stumble upon an opportunity, the first thing I check is if I can manage it based on my expected income. If you have extra income in any month, reward yourself and then top up the savings but if you don’t have the projections, normally the extra income goes out towards an extra expenses that you didn’t plan for and then you tend to burn out in month’s with lower than expected income. Budgeting is very critical to any business and individual freelancing is no different. I know many freelancers would be overwhelmed by the term budget, but you don’t need to be. 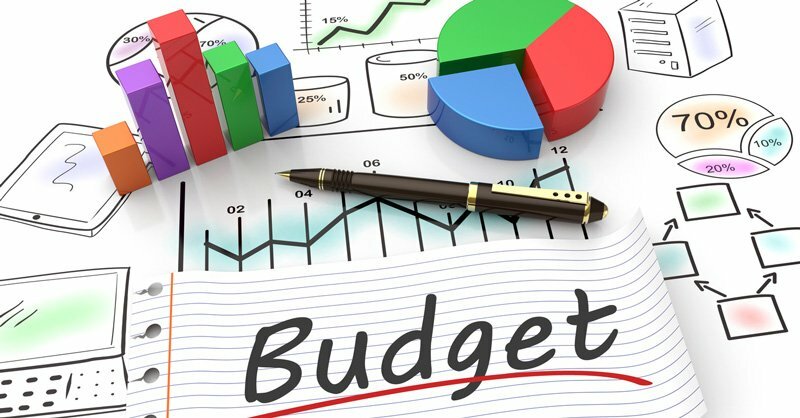 A budget is a plan for expenses, based on your business’s expected income. For me month-to-month budget works really well but you can do even quarterly or weekly depending on what works best for you. Remember there certain personal and business expenses that are due quarterly and yearly and knowing when these expenses are due can help you schedule them into your monthly budget. In July, I have final settlement of taxes for last fiscal. First month of every quarter there are school fees for my kids. April has a very high amount for school fees and that too in the first couple of days. In September, December and March have an advance tax payment. In May, I have my yearly hosting charges from MaxCDN. 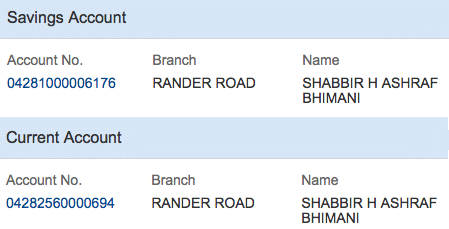 In September, I have AWeber yearly charges for shabbir.in blog. In December, I have shared hosting yearly charges for some of my minor websites. Knowing when the payment is due helps me budget it but that may not be enough for all. So you may need to allocate funds for such upcoming payments and keep the money flowing to separate accounts which can be used for paying such payments. I always make business payments from credit cards and so even if I don’t remember them, I get notified about the payment. So I know it will be a big amount due in the next billing cycle which helps me budget better. Have payment days where you take time to make payments. I use last and first week of every month to pay all my credit card bills. It does not take couple of weeks to make the payments but at times you may not have the funds in the right bank account to make the payment and so may need to wait. On a personal front, I opt for automatic payment of mobile, telephone, internet as well as electricity bills through credit cards. It not only helps me to earn rewards on my cards but it also makes sure I do not waste my time thinking about making those payments as and when due. I focus on them only on payment days to make a payment from my correct account. You can make multiple payments to the same card from separate bank accounts. Make sure the whole amount due is being paid and you don’t miss any amount. At times you even have to break the rules of making payments from different account because you know the amount that you expect to arrive in your bank account is after the due date of credit card and missing payments means, I not only have to pay the fine, it may also effect my CIBIL score and may need more of my time to make the payment. Emergency fund is so critical that even salaried persons should have an emergency fund and so freelancer’s is no different. Emergency fund is liquid cash that you can use in case of an emergency. I prefer to use my saving’s bank account minimum balance requirement as emergency fund and I keep topping it up to make my emergency fund grow. Minimum amount of an emergency fund should be able to cover your expenses for at least one full month but I prefer it to be more than one month and preferably three months for freelancers. If you have the funds in your bank account, you automatically feel more comfortable and can invest in your own education or take up some trainings to enhance your skills. As a freelancer you don’t have a provident fund, or health insurance benefits that a person doing a job enjoys. So it is upto you to invest your money in areas to provide you such benefits and return on your investments. Investment should be a part of your income projections. People like to invest what is left after expenses but you should treat investment as an expense and spend what is left after you meet investment expense. I have been investing 50,000 Rs per month since last 6 months openly with my investment analysis blog readers but more important pattern in my investment to observe is the time they were invested. It is at the beginning of the month. It is because the market provided me opportunity to invest but other ways to look at it as I had the funds ready to be deployed when the market provided me with the opportunity which happens only if you have the budget and plans. It is not all about earn, invest and spend. You need to know your expected monthly income, expenses, top up emergency and other funds, pay the loans and then make sure you provide a right amount to be invested. Investment without an objective is meaningless and my main aim of investments is to build large corpus of fund over time. Finance management probably isn’t in the to do list of freelancers, developers or bloggers but the sooner you start managing your money, the better off you’ll be. Of course it takes time, effort and planning but the results are far better than the effort it needs.